Despite prior research on the influence of national regulatory and cultural factors on sexual harassment (SH) in the workplace, few studies have examined SH, its impact on victims and redress processes in Muslim majority countries (MMCs) such as Pakistan. This study uses neo-institutional theory to develop a more comprehensive framework to explore SH experienced by women in the workplace in Pakistan. Qualitative methodology is adopted to examine employees’ and managers’ perceptions of SH. 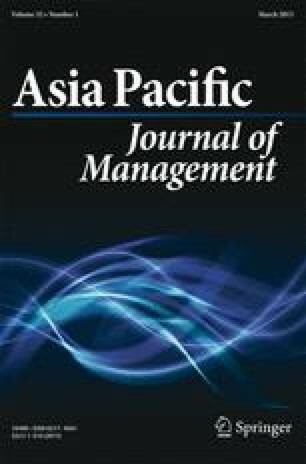 Drawing on interviews with working women and human resource managers in six Pakistani organizations, this study demonstrates that even when there are formal policies designed to prevent SH, cultural factors influence policy implementation. It reveals that there is a tension between traditional culture and behavior consistent with SH policies in the workplace. This study identifies three major factors which influence SH redressal; these are socio-cultural factors (e.g., female modesty), institutional factors (e.g., inappropriate redress procedures), and managerial expertise/bias. The authors would like to thank Professor Anil Neir for his advice and feedback to improve the quality of this article. Ahmad, I., & Ahmad, N. (no date). Pakistan: National studies in employment situations and workers protection. International labour organisation. http://ilo-mirror.library.cornell.edu/public/english/dialogue/ifpdial/downloads/wpnr/pakistan.pdf, accessed Aug. 5, 2012. CIA (Central Intelligence Agency). 2013. The world factbook, https://www.cia.gov/library/publications/the-world-factbook/geos/pk.html, accessed Oct. 10, 2013. EEOC (Equal Employment Opportunity Commission). 2009. http://www.eeoc.gov/eeoc/statistics/enforcement/sexual_harassment.cfm, accessed June 22, 2010. ILO (International Labour Organization). 2011. Guidelines on sexual harassment prevention at the workplace, http://betterwork.org/in-labourguide/wp-content/uploads/2012/05/L-GUIDE-2011-Guidelines-on-Sexual-Harassment-Prevention-at-the-Workplace-MoMT-LG.pdf, accessed June 12, 2012.